Are PMC Corporators making money even from door-to-door garbage collection vehicles? Often referred as Maharashtra’s IT capital, Pune City’s civic issues get very little attention from the mainstream media. The state government promotes the city and its surrounding areas in front of international investors. Its municipal corporation also made it in the headlines after selling municipal bonds at BSE in June 2017. But, the local body has miserably failed in handling its primary responsibilities. The PMC often faces NGT’s ire in multiple cases related to its non-functional sewage treatment plants, illegal constructions along the river, or garbage disposal. The latter one needs serious attention. Pune’s politicians may not agree or hesitate to acknowledge that door-to-door garbage collection has its own set of shortcomings. 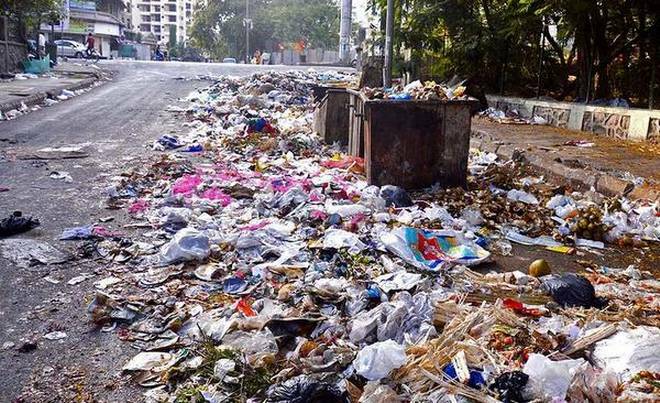 Certain parts of the city are facing problems similar to that of Bangalore when it comes to the collection of garbage. As part of their so-called Zero-Garbage-City plan, PMC got rid of garbage containers in certain wards and appointed NGOs for door-to-door collection of garbage since 2010. According to the initial plan, the project involved civic administration, NGOs, waste pickers, and corporates for funding the activity. New waste processing plants were to be constructed in every panel (prabhag) to save garbage transportation and processing cost. Initially, the PMC and corporates were supposed to spend money on this project. But later, an additional burden of Rs.80 per month (rate differs from one area to the other) was imposed on Puneites by door-to-door garbage collection reps appointed by corporators. Surprisingly, some of these private tempos (rickshaws) have employed minors, child-laborers for the collection of garbage. PMC claims these are run by NGOs! Wards are divided into two groups. PMC’s garbage collection vehicles visit areas in the first group and collect garbage from people, free of cost. While those living in the areas that are in the second group do not get this free service. They need to pay a monthly charge of Rs 80 to Rs. 100 and opt for door-to-door garbage collection service from private tempos, appointed by the local corporator of course. Garbage is collected twice or thrice every week. None of the private garbage collectors have fixed timing for garbage collection. Thus, individuals who leave their house by 9 AM and come back from office after 7 PM have no other option but to throw garbage on the road due to the absence of garbage containers at present. PMC’s free garbage collection trucks mostly visit slums. Similar trucks collect garbage from commercial establishments during the evening. But, there is no other alternative to households. Thus, today, we can easily see garbage heaps along the roadside in several parts of the city. Walk on Paud road from Wanaj to Chandni Chowk and check the number of garbage bags thrown on the road. The waste collection issue is entirely different from the waste non-segregation problem that the PMC is facing. Authorities have already accepted that waste segregation is not happening at the source, most importantly, in spite of door to door collection of garbage! Perhaps, manned dustbins in every colony would make ‘on the spot’ waste segregation easy. This would offer an alternative to citizens who do not wish to opt for door-to-door garbage collection and also to those people who do not want to keep garbage accumulated in their house for two to three days. Currently, citizens in Pune are paying PMC’s taxes, Rs. 80 to Rs. 100 per month as charges for door-to-door garbage collection, plus, Swatch Bharat Cess on some bills. Unfortunately, in spite of constant water tariff hikes and rising property taxes, the administration fails to perform its duty and ends up blaming the public for the lack of discipline. A few garbage trucks managed and maintained by Adar Poonawalla, displaying Adar Poonawalla Clean City ads can be seen in some parts of the city. The foundation has also installed few litter bins, mostly nearby tourist attractions, theaters, and shopping malls. Overall, it looks more like an advertisement campaign instead of clean city movement as claimed by the Poonawalla foundation and PMC. This is not helping the public in any way. An official from PMC’s garbage department interacted with this journalist on condition of anonymity and shared his opinion on this issue. “The city expanded quickly since the last decade, but PMC’s workforce did not increase. If we install garbage containers in every ward/panel, we do not have enough people and other resources to transport garbage from containers to various waste management centers. Thus, we are urging housing societies as well as politicians to keep a minimum number of containers. We also want every panel to have its waste treatment plant in the future,” said the official. In December last year, PMC commissioner Kunal Kumar declared that the civic body would once again install 1,600 garbage bins equipped with cutting-edge technology by June 2017. This means, even authorities are aware of how unsuccessful their Zero-Garbage-City plan has been. Later, in July 2017, he changed his stand and said it’s people’s responsibility to pay up to Rs. 100 every month to waste pickers for the welfare of the city. “We have given garbage collection responsibility to NGOs to keep every ward in the city free from garbage. Everything is perfect. There’s no reason to install garbage containers in the area”- this is something that most of the corporators in the city say even when there is a pile of garbage accumulated on the footpath, right outside their office premises. Where do they expect people to throw the waste if there are no dustbins? If BMC can manage its dustbins, why can’t the PMC? Competition Commission of India (CCI) recently detected a possible scam in the solid waste management plants’ tendering process. They also highlighted the possibility of multiple senior PMC officials’ involvement in this fraud. City’s so-called “supari” activists have conveniently maintained silence on the issue in spite of enough knowledge to prove how officials, corporators and garbage collecting agencies have formed a nexus to rob the taxpayers. Remember, this is just the tip of the iceberg.